The Sheridan County Sheriff’s Office Patrol Division is comprised of 19 sworn peace officers, whose primary responsibility is the safety and general welfare of the residents and visitors in Sheridan County. The patrol supervisors are Sgt. Mullikin and Sgt. Salyards. They have almost four decades of experience between them and, in addition to case work, are tasked with supervisory duties over uniformed Patrol, D.A.R.E., School Resource, Courthouse Security, and Investigations. The Sheridan County Sheriff’s Office deputies patrol over 2,500 square miles, which includes small communities, farm and ranch land, small industrial areas, private subdivisions, and large tracts of public land. The demands of the patrol division continue to rise yearly with other statutory requirements. Not only do we investigate crimes, proactively patrol and enforce traffic laws, but we also conduct civil process service, provide courtroom security and perform an average of 149 VIN checks per month. 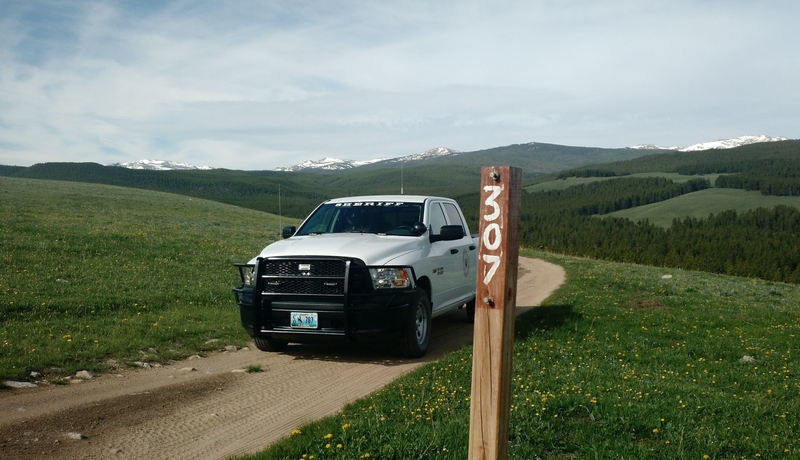 In addition to those duties, the patrol division works with numerous federal, state, and local agencies to provide law enforcement services in a county where almost twenty-eight percent of the approximate 1.6 million acres are public land.